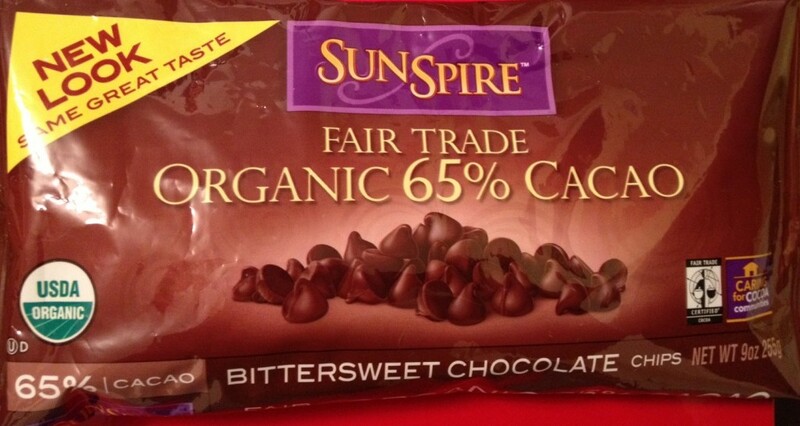 This week’s Accidentally Vegan feature is….65% Cacao Organic Fair Trade Chocolate Chips by Sunspire! 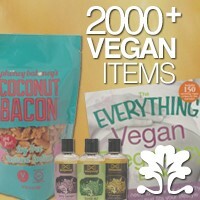 These 65% cacao chips are organic, fair trade, made without any refined sugars, and are dairy-free – yay! You can learn more about these super yummy chips on the Sunspire website. I found these organic, fair trade chocolate chips at Whole Foods, but if you don’t live near one, you can also order them online (by the dozen) through Amazon. YUM! Thanks Sunspire for making these 65% chocolate chips dairy-free! We’re still waiting for you to make a dark chocolate dairy-free version of your SunDrops. Pretty please? !